So I had this idea today that I thought might benefit our little community. A lot of us have kits, supplies and whatnot that we'd want to sell or trade for something we'd actually want. So I figured, why not have a thread dedicated to just this and call it a swap-meet. This thread is for trades. Do not post things for sale here. If you want cash, post it in its own thread. This is not to say cash can't be offered for items. Must show a picture of items to be traded. Please links to images only. This can be a link to Dalong or 1999 in the case of basic boxed kits. Must give examples of what you'd be willing to trade for. Does not have to be ironclad wants, just something to give potential traders ideas on how to obtain your item.Example: 8th MST MG Kits, Seed 1/100 Kits. Post in this thread with your items and if your item is traded, please mark your post as such and we'll delete it to keep this thread tidy. No "bumping" but if you have a new tradable item, make a new post rather than edit it to call attention to it. Please conduct transactions via PM and not here in the thread. No "dibs". Please don't be a retard. Please don't post "junk". Example: Leftover Zaku Arm. Myself and FFF mods not responsible for bad trades. Do so at your own risk. No one HAS to trade ANYTHING. If someone offers you something unacceptable, just say "no thanks". Wanted: 1/100 Seed kits, comperable MGs. Compressor runs great, but might need an oil change. Holds a max psi of around 120 or so. Has a small resevoir to store air so you do not need it running constantly. Really quiet too. Prices below are sticker, estimate, or price I found online for reference. I understand you will probably offer less or a trade based on shape of kit. See pictures for ones that are started to see what's been touched. 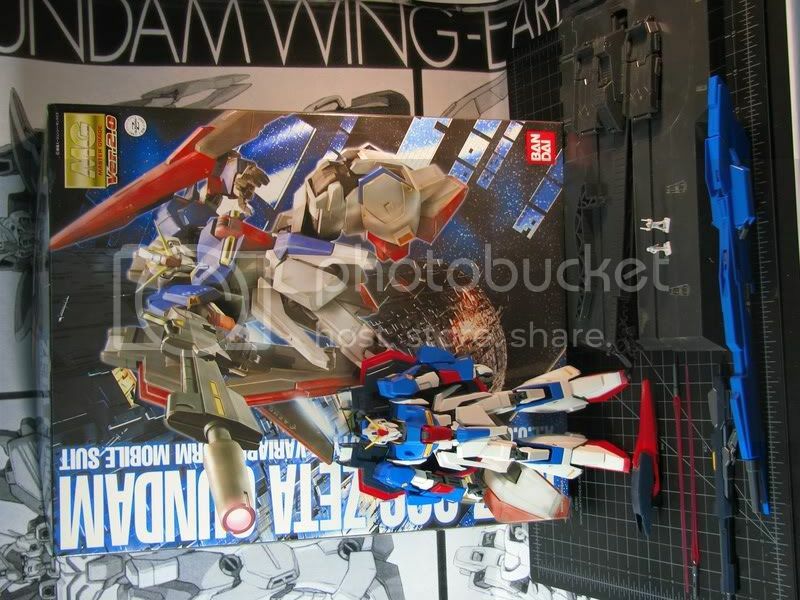 Donovan do you want a HG 1/100 Strike Freedom? Maybe for one of your LM-HG Eva's? Please do this via PM as stated in the rules. Nice to see trading happening though! Wanted: PG Strike, PG Aile Pack-Skygrasper, MG Acguy, MG Ex-S, HGUC Hygogg. (Much more interested in trades, prices not set in stone,so haggling welcome). Looking for either a PG Wing Zero or a PG Strike gundam, or to sell. Price negotiable. Some work done on it, lower half parts painted (painted parts are 95% seam free). Most painted parts are futured, a few panel lined (badly with enamel wash). couple days soak in a purple bath should remove everything. I just got tired of working on it, it was just becoming a pain and I didn't have the room for that many parts being painted. Besides, I'm liking HGUC right now. Kampher Mines still on sprue and 2 bazookas, and 2sturm fausts sp? (still looking for... )[/color]Looking for MG internals set of arms or legs, make me an offer... I'll even through a few goodies... here and there. Seriously I'm sick of looking at these parts they do me no good, I do not want them. You're special...Like don't eat the paste special. Wanted: MG Zeta 2.0, MG Hyaku Shiki + Ballute, MG Ex-S, MG-S Gundam, MG or HGUC Acguy, HGUC Hygogg, or anything AOZ related. (Much more interested in trades, prices not set in stone, so haggling welcome). WANTED: I need a pair of 1:144 Gundam-style upper legs (from above the knees to the hips). 1:144 Zaku parts would be ideal, but I should be able to work with just about anything. I'll take the parts in virtually any (undamaged) condition, but I'd prefer unpainted. It can be snapped, assembled, glued... I really don't care. So dig through your scrap piles and see what you've got! In Return, I'll send you a couple of Gundam-related "nifty-gifties". For postage reasons, I'd prefer to work with someone within the continental United States. EDIT: Found what I'm looking for. Thank you to Major Blah and ahaiko for your speedy replies! Figured that the OYW is $36 bnew and $14 bnew, so built ones could've be at $18 and $7 respectively, $25 for both. Seems like fair trade. Both parties would just pay shipping. Looking for: Anything vintage and interesting! UC only, no 0080 or 0083. Will straight trade for Elmeth.